CFF Black "Monster" Russian Kettlebells - 44 kg/96.8 lbs "The Bull"
These are the biggest, baddest kettlebells we've got. 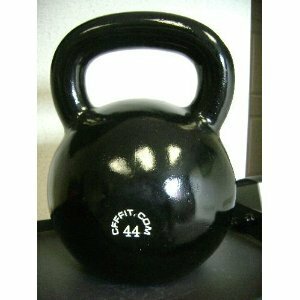 With weights starting at 36kg (79.2lbs), and ranging all the way up to 72kg (158.4lbs), our Black "Monster" Russian Kettlebells provide a real test of strength. Each is made from a single, solid casting (including the handle), and they're finished in high gloss, black enamel. Looking for a bigger kettlebell? Will you be able to tame one of these 32-72kg (79-158lb) monsters?